Last night we got to see the Dancing With The Stars contestants rock the dance floor TWICE! 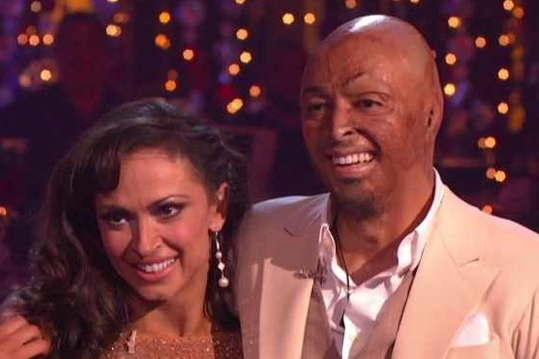 The highlight of the night would have to have been J.R. Martinez and Karina Smirnoff getting PERFECT scores for BOTH dances! How impressive is that? The instant jive getting a perfect score? You gotta love it! We know those two aren’t going anywhere tonight… but who’s in danger? I guess it’s safe to say that Nancy Grace will be in danger and maybe Hope Solo too? It’s getting down to the wire! For performers tonight, we’ve got Andrea Bocelli, Jordin Sparks and Flo Rida. Keep refreshing the page… we will have the results up LIVE!! UPDATE: As predicted, Nancy Grace got the boot tonight. This is no surprise, it was more surprising that she lasted this long. She gave it a good run though!